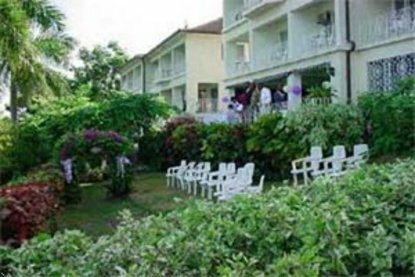 RELAX RESORT IS NESTLED ON A HILLTOP OVERLOOKING LUSH GARDENS AND THE CARIBBEAN SEA. IT IS THE PERFECT PLACE FOR A FAMILY VACATION, PRIVATE PARTY OR WEDDING. GO FOR A REFRESHING DIP IN THE OUTDOOR POOL OR SPEND SOME QUIET TIME JUST TAKING IN THE SUN. INDULGE IN JAMAICAN CUISINE AND ICE-COLD BEVERAGES AT THE RESORTS RESTAURANT OR CREATE YOUR OWN ENTREE IN YOUR PRIVATE SUITE FULLY EQUIPPED KITCHEN. GET SOME EXERCISE IN THE WORK OUT ROOM OR DO A LITTLE SHOPPING AT THE GIFT SHOP. RELAX RESORT HAS SO MUCH TO OFFER AMID BEAUTIFUL SURROUNDINGS.